Posted By Roger Hogan On January 20th 2011. Under Blog . The importance of thank you letters writing is often underestimated by job seekers. You may think that this is just a waste of time, but our resume writing service recommends you to read some information on thank you letter writing and see why it is so important. If you impressed your employer with cover letter and think that you’ve passed the job interview successfully, you still can’t relax. The case is that there is just one position and lots of candidates willing to get it. And to choose the right person among those invited to an interview, HR managers often pay attention to personal traits of character, to the behavior of a candidate during the interview, etc. Imagine if you and 10 other candidates were invited to a job interview for one and the same position. You all seem to have all the skills, you all have professionally written resumes and work experience. How should the company decide whom to choose? And here your tank you letter may play the major role. If you write a thank you letter you will show that you respect your employer, that you appreciate their decision to give you a chance to get the work. So, our professional resume writing service will try to help you with thank you letter writing. Let’s try to sort out how you should write a thank you letter. First of all, check up the right spelling of your employer’s name. Be sure that if his name is Mr. Smith, you will address to him exactly as Mr. Smith, and not Smit or Smithe or anything of the kind. Such a mistake will give up for lost not only your thank you letter, but your entire work in this company. Do not postpone your thank you letter writing. As a rule, it should be delivered by the end of the interview day. Otherwise it may show that you are so busy with your problems that you’ve completely forgotten about the interview. Speaking about the content of the letter, it shouldn’t retell the entire interview. It should state something like “I want to express my gratitude for the interview on Monday”, and not “I’m Mr. X, one of the people you interviewed on Monday and whose resume you found impressive”. If the company liked you, be sure that they remember you well. Your thank you letter should be quite formal. Print it on a small card. It is important to choose a design that will be appropriate for both, male and female. So, try to avoid using some silly cards. And finally, mind your grammar! Check your thank you letter for mistakes. Any mistakes will show that you are not quite professional and that you don’t care too much about the impression you make. As you see, a thank you letter may determine your success. Our resume writing service thinks you really should write it to show how grateful you are to your employer. To get a professionally written thank you letter, address to our resume writing service. 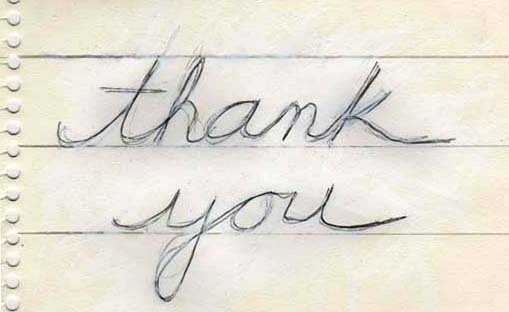 We will write a great thank you letter that will make you stand out from the rest of the competitors. Maximize your chances to get a job with our resume writing service! « With Our Resume Writing Service You’ll Never Have a Bad Resume! What are the standards for CV in the United Kingdom?